With the unprecedented rise of renewable energies, we will experience a profound change of our energy system, moving away from an unsustainable unidirectional energy system to a stable cyclic energy system. Carbon dioxide (CO2) is a product unavoidably coupled to the energy production for electricity generation or transport based on fossil fuels and the emission need to be reduced. Economic solutions for storage or conversion possibilities of large quantities of energy are essential in the future due the volatility of renewable electricity. 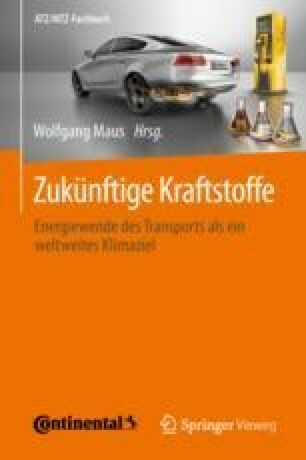 This article will look into the industrial aspects of a new technology that converts collected CO2 into fuel precursors using renewable energy, thus opening a path for CO2 neutral transportation keeping combustion engines or hybrid concepts. The standard method to make green fuel would be to collect CO2 and to let it react with green Hydrogen (H2) from water electrolysis powered by renewable energy. This happens in a high-temperature catalytic bed reactor, already scaled up by chemical industry. As a potentially advantageous technological path, recent research opened up the pathway of a direct electrochemical reduction of the CO2. This can be done at room temperature using water based electrolytes. To reach industrially relevant reaction rates, a technology called “gas diffusion electrode” must be employed which is the key to sufficient access of the CO2 to the cathode performing the reaction. There are already well established catalysts like silver for the production of CO/syngas, whereas catalysts for the direct generation of hydrocarbons out of CO2 are under research. The first steps of applied work towards the industrialization of such a technology are described.